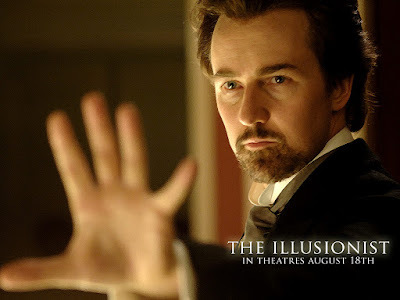 The 2006 film The Illusionist had the bad luck of coming out at the same time as another movie about a magician in Belle Epoque Europe, The Prestige, starring Hugh Jackman. 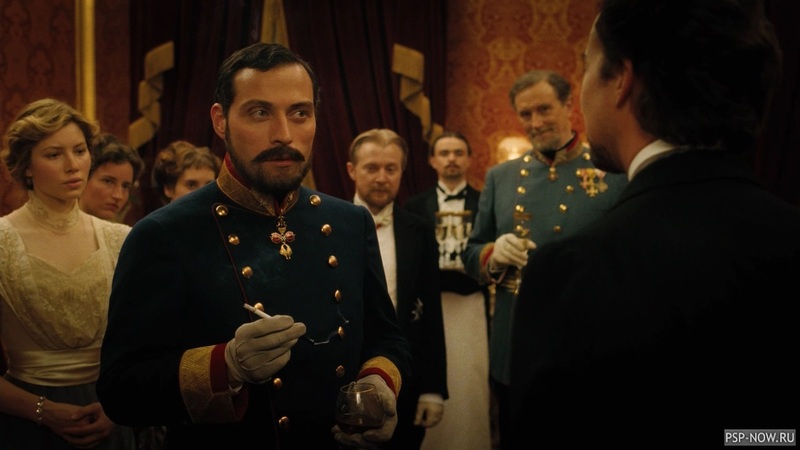 But while The Prestige was an enjoyable puzzle movie with a twist ending, I've always preferred The Illusionist, which pitted Edward Norton's peasant magician Eisenheim against Rufus Sewell as Crown Prince Leopold, heir to the Austro-Hungarian empire. Leopold is ambitious and cruel. He is engaged to Sophie, Eisenheim's childhood love, and she is terrified of him. The film follows Eisenheim's attempts to free her from Leopold, including a tense scene in which Eisenheim briefly humiliates Leopold during a magic show. From that moment on, Leopold, with his pride and hatred, is determined to destroy Eisenheim. What I like about The Illusionist is its theme of power. Leopold has everything he needs to destroy the lives of these two innocent people: power, money, an army, spies, control of vast resources. This shot illustrates this dynamic: Leopold has the fancy uniform, the luxuries of the palace, servants, the army generals, and Sophie herself, all on his side of the frame. Eisenheim is alone on the right, in his simple black suit. He has only himself. But it may be that he is enough. He has resources that are less obvious and impressive but ultimately very powerful: talent, public support, fame. In this historical moment where resistance seems futile, he finds ways to resist. This is the basis of so many of our oldest stories: from David standing against the superior Philistine army to John McClane taking down the terrorists at Nakatomi Tower. The Illusionist is a beautiful version of that essential tale.